I attended a photography course at Aigas Field Centre run by Ffordes Photographic camera store in Beauly and Laurie Campbell, an award-winning Scottish natural history and landscape photographer. The course was informative and very interesting split into two parts. 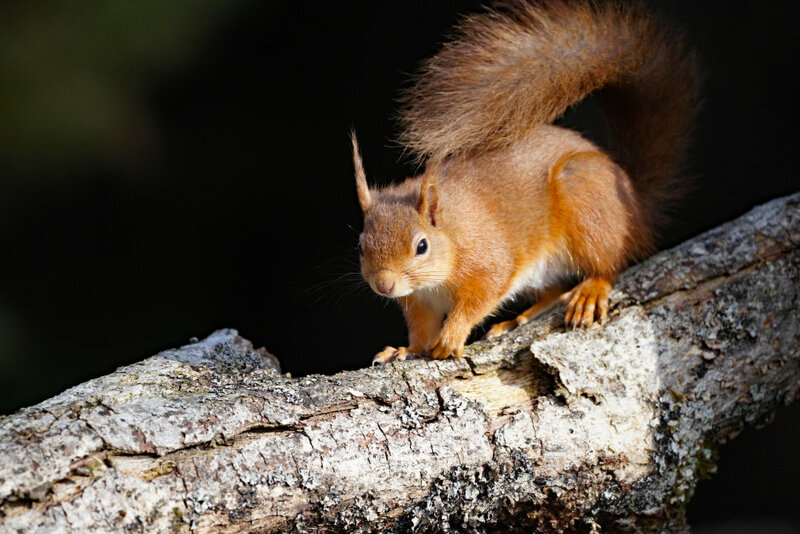 Firstly photographing red squirrels in their own habitat and secondly studying Macro photography. Luckily a few red squirrels showed their bushy tails ! !